From the 1890s to the 1920s large areas of red-brick housing were erected, particularly in Preston. 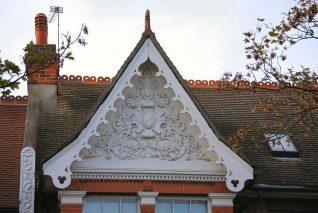 Fine examples, often with decorated gables, may be seen at Beaconsfield Villas; Compton Road; Ditchling Road; Edburton Avenue; Hollingbury Park Avenue; Inwood Crescent; Queen’s Park Rise; Queen’s Park Terrace; St James’s Avenue; St Luke’s Road; St Luke’s Terrace; and Southdown Avenue. Much larger red-brick residences are found in Beaconsfield Villas; Dyke Road; Harrington Road; and Preston Park Avenue. Beautiful examples! How come Wimpy tract housing and over the top McMansions and Starter Castles (courtesy of US developers and “builders”) don’t have anywhere near the character and craftsmanship exhibited by the thousands of acres of fabulous architecture to be found in Brighton? Answer: Short term profits at all costs (Hmmm, sub-prime mortgages too!) and craftsmanship these days happens at the business end of a caulking gun! 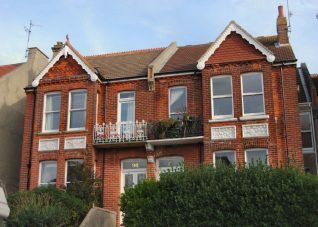 Oh boy, we have a ways to go to turn this economic and urban mess around – but thankfully Brighton retains a huge amount of its historic character and quality – even though many aspect of the city are, to say the least, getting a bit shabby.